If you own a home or business in Port St. Lucie, you have to take measures to protect your property from inclement weather. One of the most popular choices in hurricane shutters. These shutters cover the outside of your windows or doors and provide a shield against flying debris, hail or other solid objects that can cause damage. For the best hurricane shutters in the Port St. Lucie area, look no further than Expert Shutter Services. At Expert Shutter Services we manufacture the highest quality rolling and accordion hurricane shutters using a superior grade extruded aluminum. 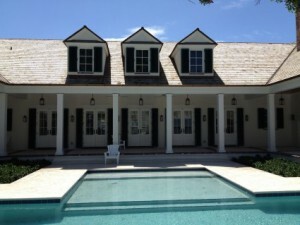 We also offer bahama and colonial shutters for a mix of aesthetics and protection. Our installation technicians are professionally trained to quickly and accurately install your hurricane shutters properly so that they offer maximum protection. We always extend courteous and prompt service and that is why we are the top choice in Port St. Lucie for premium hurricane shutters. 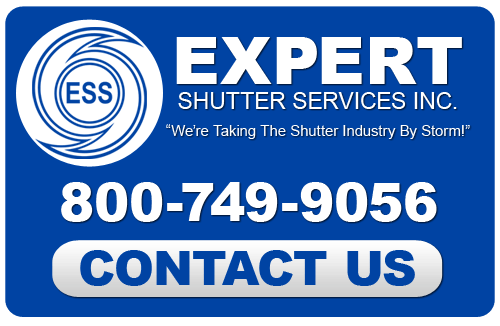 At Expert Shutter Services we manufacture durable and strong accordion and rolling shutters using a superior grade extruded aluminum. These shutters affix to the outside of your windows or wall section and open and close on a rolling track or reel when not in use. They are rigorously tested for impact as well as forced entry, as these shutters are ideal for both storm protection and security. The Nautilus Rolling Shutter System is the perfect shutter system for storefronts and countertops. The slats overlap in such a way that they create an impenetrable barrier to storm debris and criminals. 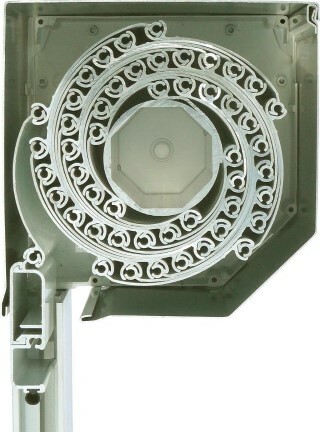 It is easy to open and close as the center reel offers effortless retraction. Accordion shutters slide horizontally on a wheel track, allowing them to offer curved windows protection. Any jutting or curved areas on your building can be outfitted with the rolling track. For maximum defense from any outside invaders, you can trust Expert Shutter Services’s Nautilus system or accordion hurricane shutters. For homeowners in Port St. Lucie that take pride in their exterior design and don’t want missile-grade shutters attached to the outside of their building, there is a more decorative option. Bahama shutters are a great choice as they are louvered shutters that hinge at the top of the window. They prop outward like an awning, providing shade and light control. They come in limitless colors, so your customization options are never-ending. When in use they easily retract and secure to your window, providing shielding from any storm debris. Colonial shutters are hinged on the sides to facilitate swinging inward or outward. When open they offer an unobstructed view through the window while framing it with the classic and elegant look of exterior shutters. When shut they latch closed and offer outstanding protection from a hurricane and high velocity winds. “Last year I purchased Accordian shutters and the delivery and installation was exceptional. Not only did they look great but they took the time to test each of the 15 shutters and made sure I knew how they worked. The staff followed up to make sure that I was completely satisfied. When Hurricane Irma came it took me about 15 minutes to set up all of them. I had many people inquire about my shutters. If you are looking for a Port St. Lucie Hurricane Shutter Company then please call 772-871-1915 or complete our online request form.